With the transition to democracy following Franco’s dictatorship, Barça moved from an anachronistic system of delegates chosen via a draw to universal suffrage. The elections of 1978 were the first fully democratic elections in the Club’s history. On 4 September 1975, the President Agustí Montal Costa publicly demanded the democratisation of Spanish football’s structures and the democratic election of football Club’s Presidents. With Francisco Franco’s death on 20 November, the liberalisation of Spanish life blossomed and football was no exception. On 18 September 1977, Montal left the Presidency and his Vice President Raimon Carrasco took over. 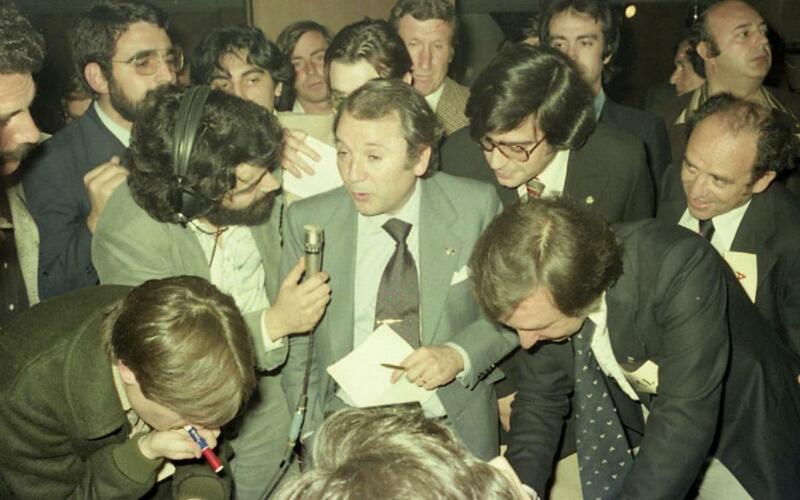 The decision was made to hold democratic elections at the Camp Nou on 6 May 1978. Different candidates were to engage in an election campaign with a truly democratic vote at the end for the first time in Barça’s history. Three candidates came forward: Ferran Ariño, Nicolau Casaus and Josep Lluís Núñez. Ariño represented continuity as he had been the president of Barça Athletic. Casaus had a long history with the Club going back to the 40s, especially in the supporters’ clubs. Finally, Núñez was well known in the construction world and he had a message of renewal. 53,643 members had the right to vote and 26,477 or 48.6% did so. Núñez won with 10,352 votes, against Ariño’s 9,527 and Casaus’ 6,202. On 30 June, the new Board took control and Núñez’s long presidency began, he led the Club until the year 2000.